Show your support of HPRA to your community and register your vehicle with the special limited HPRA license plate. Each year, when you renew your registration, HPRA will receive $20. 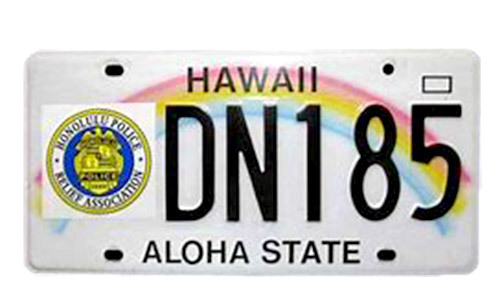 Submit your completed application in person to the City & County of Honolulu Motor Vehicle Registration or Satellite City Hall. The Honolulu Police Relief Association graciously accepts donations. Or you can click the button below to donate online!